Berlinica Blog: Happy Easter! And Happy Passover! Happy Easter! And Happy Passover! For those of you who grew up celebrating Easter, you're surely familiar with the Easter Bunny. Perhaps you woke up to find your backyard filled with hidden Easter Eggs during your childhood! But did you know that the origins of the Easter Bunny can be at least partially traced to Germany? There are various theories on how exactly the concept of the Easter Bunny arose, but we do know that it came from Medieval Europe and that Germans introduced the concept to the United States. During the Middle Ages, families consumed eggs and www.berlinica.comhares, which were in no short supply in the springtime. At some point in the 17th century, parents began to tell their children that the eggs came from the Easter Bunnies. When German immigrants came to the United States in the 1700s, they settled in Pennsylvania and brought the concept of the egg laying Osterhase ("Easter Bunny") with them. Hoping to receive eggs on Easter, children would create nests for the eggs to be laid in. Traditions have evolved over time, but today, both German and American families will celebrate Easter with colorful eggs. On this note, we'd like to wish our readers a Happy Easter! And for those celebrating Passover, we wish you a joyful celebration as well! 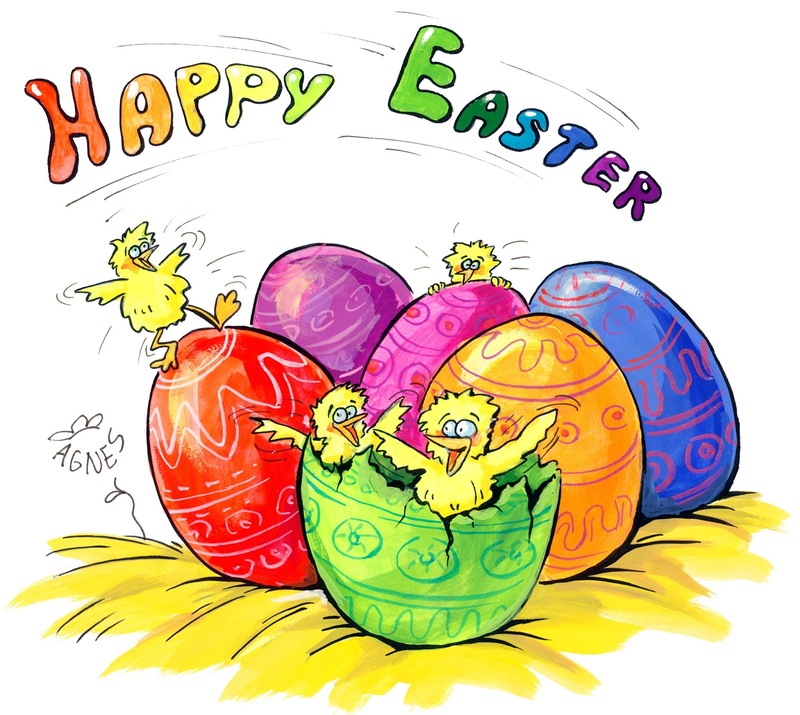 Happy Easter and Happy Passover from Eva at Berlinica!